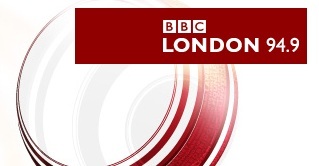 I have received a reply from the BBC to my complaint that BBC Radio London seriously misled its listeners during a ‘Barking Hour’ programme on the use of chiropractic and homeopathy for dogs. Details of the concerns are listed on my previous blog post. To remind you, the programme was given over to “animal chiropractor”, Kay McCarroll, who made many unchallenged, misleading statements about quack treatments for dogs. Chiropractic is based on a mystical and unscientific view of health and medicine and there is no evidence that spinal manipulation is effective for any condition with the possible exception of minor and temporary relief of lower back pain in adult humans. Moreover, spinal manipulation carries significant risks including stroke. Chiropractic is a statutory regulated trade in the UK and that the regulator does not recognise the concept of ‘animal chiropractor’. Homeopathy is a disproven form of pre-scientific medicine that is based on magical thinking and has no good evidence that it is effective for any condition. Muscle testing or kiniesiology is a scientifically implausible alternative diagnostic technique that has no evidence behind it and is used as a sales tool for selling diets, pills and other alternative treatments. It is illegal for any person to treat an animal unless they are a registered veterinary surgeon, the animals owner. Chiropractors may only touch an animal if it has been seen by a vet, diagnosed and referrered. Mocking the person who called in to state that homeopathy was disproven and that it could be a danger to the welfare of animals. Suggesting that listeners look for a chiropractor directly and in doing so possibly allow an animal to be treated illegally. Such treatments can only be performed under the supervision of a vet. Thanks for your contact regarding BBC London on 17 May. Please accept our apologies for the delay in replying, we understand our correspondents appreciate a quick response and we are sorry you had to wait on this occasion. We have discussed your points personally and at length with the station’s Editor who in turn has personally reviewed the programme segment in question, so we hope to be able to clarify matters thus allaying your concerns. Jo Good devotes an hour each week to the discussion of all aspects of dog ownership and care. Over the past year, she has interviewed several Vets about treatment for dogs and she has discussed everything from immunisation and diet to homeopathy and conventional scientific treatment. The interview with Kay McCarroll should be considered in that context, one interview amongs countless on the programme which on this individual occasions was simply exploring alternative treatments. Jo Good also adds: “…because my dog has spondylitis of the spine, I took her to the Vet yesterday who suggested I take her to an osteopath who practices in his surgery…”. We are satisfied that listeners to Jo Good’s weekly dog feature would have heard this interview in the context of the wider debate about the healthcare of dogs and therefore it was balanced and fair, and thus appropriate, but we are naturally sorry to learn that you had concerns. In closing, our apologies once again for the delayed response and thanks again for taking the time to contact us. The absurdities in this response are obvious. The fact that other programmes may have tackled real treatments in a factual and evidence based way does not mean that this can be balanced with other programmes that uncritically promote nonsense. It is also no good that Kay McCarroll has issued a statement after the programme – these points should have been clearly made during the programme. To cherry pick a few statements that mention vets but without making this central point is not acceptable. To claim that this programme was” balanced and fair” when straightforward falsehoods and misrepresentations were made without challenge is nonsense. And that when challenged, the challenger was mocked. The BBC Responded to my rejection of their handling of the complaint with a letter that simple stated that they had nothing further to add. So, this complaint then becomes a Stage 2 complaint in BBC terms and now will be handled by a team who are independent of the production team. Slowly the wheels turn. And completely missing the point that they are advising listeners to pay for bogus treatments that don’t work. 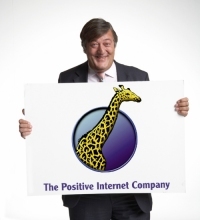 You might point out that the potential for the BBC to be sued for advising wrongful treatment is reasonably high. A further consideration is the ignorance of the vets who are making these referrals. I hope the RCVS is aware of this and takes appropriate action. I’ve become a regular reader of the Quackometer blog for a few months now, but I don’t think I have ever posted a comment. I really appreciate your efforts to counter this regular journalistic bias: giving equal weight to pseudo-science and science. This phenomenon isn’t just British or Anglo-Saxon. It is encountered in all European countries. I believe that this bias is a result of a complete lack of “scientific culture” and scientific skepticism among not just journalists, but also the public at large. I’m starting to tackle this issue on my blog (but only in French for the moment, sorry), based on what I read/hear/see in Swiss media, and I have noted that journalists seem to trust science as a body of knowledge, without any clue about what one calls the “scientific method” and therefore, how one arrives at this kind of knowledge. I believe that because of this limited understanding of what science is, they tend to consider scientific knowledge as mostly a matter of personal opinion. One can believe in it or not, that is basically the same thing. In other words, science is just one type of knowledge among many others and there is no reason to treat it as superior, since we are in democracies, where all opinions should be given the same weight, since no one can legitimately judge and rank them. Some members of the French Association for scientific information (AFIS) plead for a better teaching of skepticism and the scientific method in school, as they believe that this is the best way to actually promote a rational way of thinking and I quite agree with them. People don’t need to cram their brain with tons of scientific knowledge, but rather to learn how to decipher what is presented as science in order to distinguish between real science and pseudo-science. English speakers can access Sense About Science http://www.senseaboutscience.org/ which has a remit to prmote understanding of scientific methods and how to evaluate claims, wherever they come from. It’s a very valuable resource. Thank you! I didn’t know about this one! I’m sharing it! Ok, we all get it. You don’t agree with this form of treatment. But, not everyone agrees with you or so completely worships “science” that they think there is no room for an alternative. I am a human being and I use Tart Cherry which has been a miracle for my knee pain. I took a prescription drug for the pain and almost died from two bleeding episodes. I also take pumpkin seed extract for incontinence, which works at least as well as the, again, DRUG prescribed. Which by the way blurred my vision. There is room for alternative types of treatment and I would have to say that forcing various drugs into the body does not always have a good end. Just take a look at the long list of side effects for almost any drug. Just open your mind a little bit and if you want to criticize, go into the lab yourself and do the research. After all, all you are doing is reading and accepting or rejecting, not based on any direct experience, but on what you choose to believe. The mind and body of living entities is very complicated and taking a simplistic approach is not always the best. Well, have you gone into a lab and done some research to understand why Tart Cherry or pumpkin seed extracts are working on you? Or even if it is really working on you and not something else (like, for example, the placebo effect)? It doesn’t seem so. Apparently, the fact that you’ve got the feeling it is working for you is enough for you to consider it a real “alternative”. As you say, the mind and body of living entities are very complicated and for this reason, one cannot claim that a treatment can work on other people simply because one has the feeling it worked on oneself (but one has no clue why). The fact that you were able to do without drugs doesn’t mean that everyone else can. Unless you’re thinking that all human beings are the same. Which they aren’t. Moreover, most proper doctors don’t force their patient to fill their bodies with various drugs just for the sake of taking scientific-based medications. Usually, s/he will try to use what is most appropriate for the patient according not only to symptoms, but also what the patients says about what s/he feels and how s/he lives. And, oh yes, most doctors do take into account side effects and weight it against the advantages of the treatment. Actually, there are very few drugs that work without even a slight side effect. On the other hand, most drugs that claim to have no side-effect usually have no effect at all, like homeopathic formulation. This means that there is no reason why one should trust vague testimonies about so-called alternative treatments that haven’t been tested or haven’t shown in any way that they are efficient or, at least, not dangerous for the body. Thus, there is definitely a very wide room for scientific-based treatments, which have gone through multiple testing, that rely on strict reproducible protocols. I can’t believe how utterly indiotic some of these comments are. Whenever I have seen any form of medical practitioner I have never been asked about diet, lifestyle, or environmental factors that could be influencing my medical condition. Instead they prescribe a drug which will mask symptoms, but not cure the problem. I have never met anyone which has been treated differently to this. I use homeopathy on my dog to control her epileptic fits. It does work, as she has not had a fit now for over 6 months. I don’t expect any of you close minded people to believe or understand my feelings. But how about you just open your mind up to the possibility that not everything the medical profession tells you is correct. They do have underlying motivations to prescribe. And many many many times…alternative therapies do work..Oh and by the way, if they didn’t, I would be in a wheelchair by now! You should be reported to the RSPCA for using quackery on a sick animal. Thank you for this post, SusanSee. You’re right that so-called “science” is just one view of life and offers nothing superior to ideas people just pull out of their intellectual backsides. I’m sure you apply your viewpoint in every aspect of your daily experience. If you’re ever wounded in an accident, you’ll refuse scientific help from the paramedics (who are part of the whole medical consiracy to harm you) and insist on having the appropriate homeopathic remedy or a bit of reiki for your broken leg. Refuse tourniquets and bandages when you’re bleeding to death: take homeopathic Aconitum, Arnica, Hamamelis, Ipecac or Phosphorus, which are the remedies recommended to stop bleeding. And of course, you can apply alternatives to “science” in other aspects of your life. When next you’re in a tenth-floor room, remember that gravity is only a theory; step out of the window and save time reaching the ground by using alternative gravity. As a postscript to my comment above, lets just say that the material world, including our experience in it, is governed by our emotions and beliefs. An idea that has been around for many centuries and is accepted by many intellectuals. Unfortunately not most of the medical community. If this is the case, then encouraging people to give their animals strong drugs with harmful side-effects is a dis-service. Open up to the idea of other ways to treat animals. And don’t keep getting up on your high horse and preaching about science. Science invented the hydrogen bomb and all those drugs the FDA has had to take off the market due to deaths and other horrible side-effects. Well, this idea that the material world and our experiences of it are governed by our emotions and beliefs has certainly been around for many centuries and is shared by many intellectuals. But that doesn’t mean the discussion ends here. Indeed, the medical community is certainly not the only one not to share this view and to disagree with it. Actually, counter-arguments to that and intellectuals making them have been around for as many centuries. And the fact is science has shown that this world and our experience of it don’t need to be governed by emotions and beliefs. Not only has it shown it, but since most of the technologies and products that have been made from scientific discoveries and understanding of the world work pretty well, no matter what your emotional states or your beliefs are, I think it has proven it. In this case, encouraging people to give their animals drugs or treatments that have been unable to prove that they are efficient in meeting their promises or worse, can actually have a dangerous impact, is indeed doing them a great disservice. You are the one who should open up to science-based treatments for animals (and humans). And don’t keep getting up on your high horse and preaching about so-called alternative knowledge. It invented countless useless drugs and practices, like homeopathy, osteopathy, lithotherapy, detoxification, etc. that can only bring relief to your bank account, spawned hundred of thousands of charlatans, and all these so-called holistic crap that has often lead to horrible death because people have been delaying really efficient treatments or even been convinced not to take them. And I’m not taking about those who get enrolled in sectarian groups like anthroposophy, whose founder was also one of the leader in preaching for a “return to nature”, except that it is a completely fantastical nature, not the real one. And you know what? There is hardly any FDA to take them off the street. Actually, there is often no one to really check on them and make sure they aren’t deceiving people. Only sometimes justice, but too rarely when one considers the damages caused by these people! I’m not sure what point you’re trying to make here? Are you suggesting the Manhattan Project tried, and failed, in meeting their objectives because they mistakenly adopted ‘science’ as their guiding epistemology? Perhaps I have a different understanding of history to you. And how do we/you know about all these deaths and horrible side-effects? What’s stopping me siding with you and rejecting all of the robust scientific data that’s brought us this knowledge, and suggesting critics of the pharmaceutical industry adopt ‘alternative’ ways of interpreting the data, and weighing up treatment costs/benefits? I mean, I know a diabetic who was fine on Rosiglitazone and never experienced a single heart-attack? I also have a personal anecdote. Someone close to me developed a very painful illness without warning, and in 2 weeks they couldn’t even move to get out of bed. It took our GP a while to diagnose what turned out to be Sarcoidosis. A very high dosage of steroids were prescribed and within one day – ONE DAY – she was back on her feet. After 2 weeks recovery was pretty much complete. The mind and body are indeed extremely complicated. However, steroids are actually fairly simple little molecules, and the interaction between drugs and the human body, when you really drill down to the bottom, is not magic at all, it’s textbook chemistry and physics (and even these are one and the same IMHO). Damn it! first post and I reply to the wrong person. This was obviously for Susan See. Susan See has probably experienced the placebo effect. Her comments are misguided to say the least and only add to the confusion caused by equally misguided so-called practitioners of contentious and (in some cases) highly dangerous “alternative” medicine and/or manipulation. Oh dear, big fail. What has that got to do with whether the scientific method is the best way to determine what is true or not in medicine? > and all those drugs the FDA has had to take off the market due to deaths and other horrible side-effects. And why were those drugs taken off the market? Because new knowledge showed the balance of risk and benefit to be negative. That’s the beauty of science rather than just making stuff up – you constantly can refine to get closer to the truth. You may be able to make up what you like, but it doesn’t make it true. I also like the fact that as scientist we are always asked to be humble toward these “mind-body/holistic/religious” follower’s opinions that “science isn’t everything” as it doesn’t seem to apply to themselves. Well, to paraphrase larger names in science than me: science can’t prove that God (or the mind-body axis etc.) doesn’t exist, but we are pretty sure that the concept isn’t needed to explain reality. So from a scientific standpoint there is always a possibility of CAM working, but in the eyes of all these CAM-followers there is no real place for science – so who are the humble ones? On the subject of dogs and TV, this month the US satellite company Directv has started a premium channel, The Dog Channel, for dogs to watch/listen. There are hours of relaxation or stimulation, etc. I watched my dogs reaction and noted they may look at a close up image of a dog. Occasionally there may be a sound of a squeaky toy inserted into the music stream. There is almost anything on TV for anyone including pets.